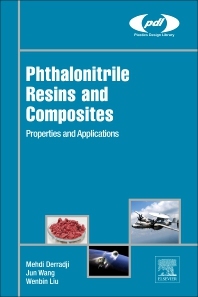 Phthalonitrile Resins and Composites: Properties and Applications summarizes the latest research on these polymers, providing information that enables materials scientists and engineers to deploy these polymers in the real world. The book gives details on synthesis and preparation techniques for key phthalonitrile monomers. All curing techniques are discussed, along with blends and copolymers of phthalonitrile with other polymeric materials, such as epoxy, benzoxazine and bismaleimide. Fiber and particle based phthalonitrile micro and nanocomposites are also discussed, along with their potential applications in lightweight automobiles, ships, oil rigs, aircraft, wind blades, high temperature bearings, valves, battery and electronic casings, fire resistant textiles, and more. Mehdi Derradji is a researcher in the College of Materials Science and Chemical Engineering at Harbin Engineering University, China. He is a specialist in the field of high performance polymers including epoxy, benzoxazine, and phthalonitrile resins and composites. Jun Wang is a Professor in the College of Materials Science and Chemical Engineering at Harbin Engineering University, China. He is a specialist in the field of high performance polymers including epoxy, benzoxazine, and phthalonitrile. Wenbin Liu is a Professor in the College of Materials Science and Chemical Engineering at Harbin Engineering University, China. His research interests are in the areas of synthesis, properties, and relationship between structure and properties of high performance resins such as Epoxy Resins and polybenzoxazines, polymerization reaction mechanisms and curing kinetics of polymers, and synthesis, structure and function of structure-controllable polymers.